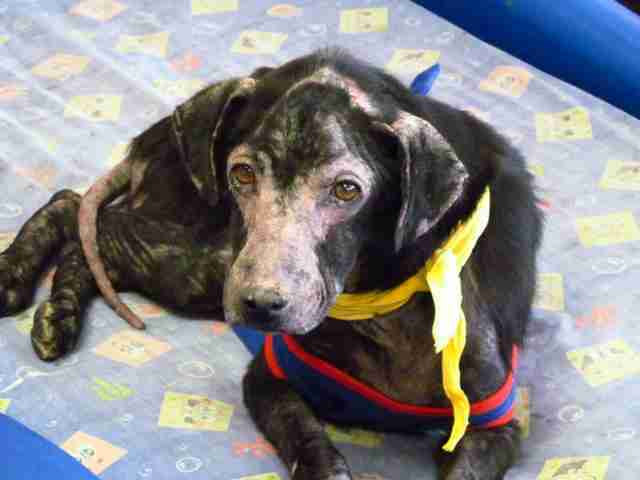 Facebook/Lucky Dog Retreat Rescue, Inc.
A friendly stray dog who was found to be suffering from a mysterious skin condition is being given a new chance at a normal life - thanks to the tireless dedication of his rescuers. When Robin Herman, who runs Lucky Dog Retreat Rescue, Inc. in Indianapolis, Ind. 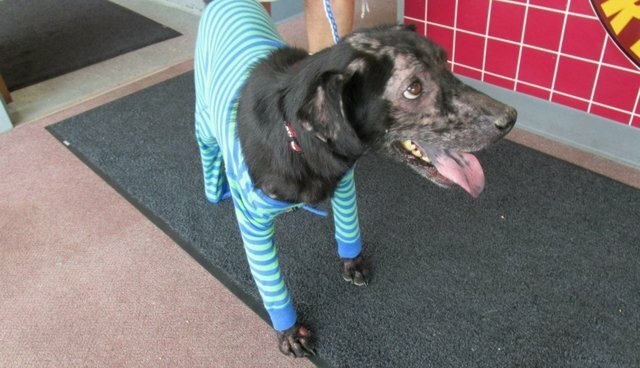 first saw the patchy-haired black lab named Adam, she knew she had to try and help him. She and her staff had had success treating dogs with skin conditions in the past, so she suspected that all the young dog needed was someone patient enough to find the cause of the problem. "For the most part, it's just a matter of feeding them good food and giving them a stress-free environment," Herman told The Dodo. "They usually heal up pretty quickly." Herman and her staff were at a loss, though undeterred in their commitment to find a solution. That's when Adam's veterinarian recommended that a blood test be done to see if there might be something in the environment that was causing an allergic reaction. When the results came back, Herman could hardly believe it. As it turns out, Adam did have an allergy - to people. "I laughed. I thought the vet was kidding. The vet said she wasn't, and I laughed again," says Herman. "Then she explained that just like people can be allergic to dog dander, dogs can be allergic to human dander. She was surprised too. She'd never seen it before." To those who'd tried so long to make Adam better, it suddenly made sense. All the time and attention they'd devoted to trying to care for him had actually been making him sick. But now that they know what is wrong, they have a better idea of how to treat him. Adam will soon start treatment with blood serum created just for him which will hopefully help his body build up a tolerance to the human dander allergy. Both Herman and her vet are optimistic that he'll get better - better enough to live a normal life with a family that loves him as much as they do. 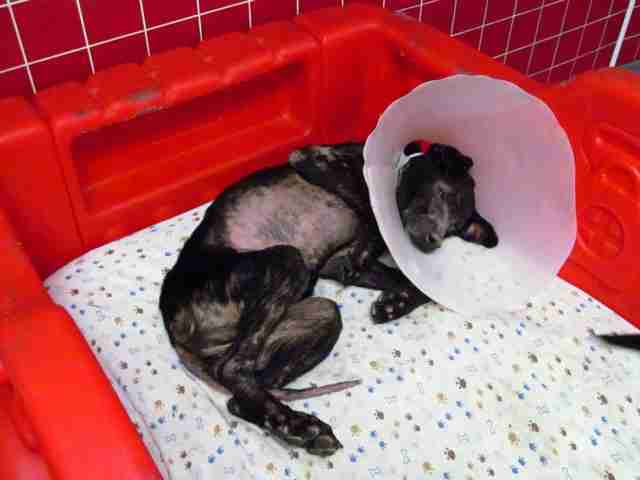 "We just want to make him comfortable, so he doesn't have to live in a cone. Once we get there, God willing, we'll find him a home," says Herman, noting that Adam seems as eager to get well despite all the challenges. "As long as he wants to keep going at it, we'll keep going at it with him. He's just too sweet and funny... He's a special little dog."